From Sharm El-Sheikh you can visit some world class diving areas in the Red Sea like Ras Mohammed, Ras Umm Sid, the Straits of Tiran and wrecks such as the Thistlegorm and Dunraven. Sharm is at the tip of the Sinai peninsula and boasts many, many diving centres and liveaboards: find the best SCUBA company for your holiday in Sharm El-Sheikh below, with ratings given by divers. The weather in Sharm is always warm during the day, although the nights are cooler in winter when temperatures can dip to around 13 oC . Sharm is in the desert so rain is rare and humidity low. In April you may experience sandstorms. From November until March the weather is cooler and more comfortable. The coolest month is January, but even then the temperature is around 22 oC. You can dive all year round in Sharm. The average temperature of the sea ranges from around 22 oC in March to 27 oC in September. Divers often wear a 5 mm suit in winter and a 3 mm suit in summer. The best time to go? We like November for warm water and not too hot weather. The calmest conditions are generally at full moon. The Sharm region comprises many areas. In the south is the old town, Sharm el Maya. North of this is El Hadaba which is home to apartments, villas and a few hotels. Continuing Northwards come Na'ama Bay, Garden Bay, Tiger Bay, Shark Bay, Ras Nasrani and Nabq Bay. Many of the hotels here are enclosed resorts but Na'ama Bay, where the majority of hotels are, is more open. In 2015 many countries advised against travel to Sharm El-Sheikh airport, following the bomb on the Russian plane. Egypt has since spent more than �20 million on improving security at the airport, replaced outdated equipment, trained 7,000 staff using a UK aviation security firm, run rigorous background checks on current staff, laid off more than 40% of the original staff and introduced a new biometric ID system for all airport employees. The majority of countries have now resumed flights to the town, with the notable exception of Britain - in spite of entreaties from MPs there. Visitors from the UK now need to go via other European countries, or fly to Hurghada and take a liveaboard trip. "Shark Bay is more laid back than Na'ama Bay. Most resorts have packages for the tourist market. Avoid this if possible. " Itineraries include the 7-night 'North' route in the Sinai Peninsular exploring the Straits of Tiran, Ras Mohammed, Abu Nuhas and of course the world class SS Thistlegorm. For those who are short on time there is also a 4-night 'Mini Safari' available during certain times of the year. Visits dive sites like the wrecks of the Thistlegorm, Dunraven, Rosalie Moller, Giannis D, Carnatic, Chrisoula K and Kimon M. Also the Blue Hole, Canyon and Ras Mohamed National Park. Accommodates 20 guests in 10 cabins each with a safe, individually controlled AC and private en-suite bathrooms with fresh towels, bathrobes and hairdryer. Visits the northern Red Sea: the Straits of Tiran, Ras Mohamed, the Straits of Gubal and the wrecks of the Thistlegorm, Dunraven, Giannis D and Carnatic. VIP One is a luxury motor yacht, built to offer the best in comfort and safety and aims to provide exceptionally first class service. It is a spacious 29.5 meters in length, the interior is fully air-conditioned with large double cabins complete with private en-suite bathroom and shower, large saloon, dining room and bar. 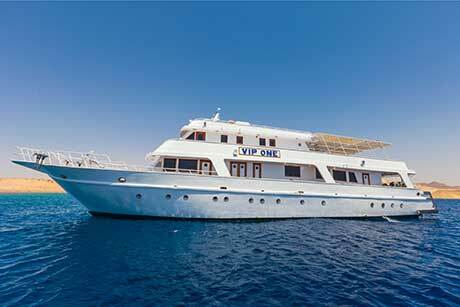 VIP One can comfortably accommodate 16 people in 8 cabins. Divers International have five SCUBA diving centers in Sharm el-Sheikh and Hurghada, located in Sofitel Hotel (AquaMarine), Crowne Plaza Resort, Mecure Luna Sharm, Na'ama Bay and the Hilton Hurghada Plaza. Their headquarters, called the 'White House', is located on Peace Road in Na'ama Bay. Divers International - 'White House' is a PIRA Gold Palm Resort. "Cost was 222 euro for 3 dives (1 beach and 2 boat), lunch and Thistlegorm. I would try them again only if they give me a 15% discount and guarantee me dives in the good spots. In short. They are okay. The dive master was good, though a little inflexible. I didn't like paying 9 euro for a low quality lunch either. My main problem was that they didn't have a good definition of the boat schedule. I was snookered into taking the Thistlegorm (presumably since this dive had a much higher profit margin) even though I specifically insisted on Ras Mohammad dives. I hope that next time, the boat schedule and the options can be made clearer and possibly made accessible online too. Boat was reasonable. Had all the needs. A little slow for thistlegorm but did the job well. I would go again, but with a good discount. The food could definitely be improved especially considering we are paying 9 euro ! Its not cheap. Its about the same deal as you can get in the US which is a very expensive considering that Egypt should be a very very low cost place relative to the US. " "Divers International, Na'ama Bay, 280 Euros, would dive with them again." Operating in the Egyptian Red Sea since 1989, Tornado Marine Fleet provide luxurious liveaboard vessels. "Excellent Liveaboard operator highly quality conscious feel, environmentally minded, competent and fun guides, entertaining crew, delicious food! " "Tornado Marine Fleet operate liveaboards out of Hurghada and Sharm El-Sheikh. They are very experienced and maintained a high level of professionalism while I was aboard M/Y Excel (they have 2 other boats as well - M/Y Cyclone and M/Y Hurricane). Overall I found that their care for their customers was top priority for them. I would recommend their company to anyone! " Organise diving around Sharm el Sheikh, Ras Mohamed, Tiran Nabq and Dahab. "A big thank you to Bob. I went to upgrade to open water, my instructor was very patient and friendly, unfortunately I took ill and could not finish my course (dodgy food being the cause). Bob gave me a referall so i could finish course at a later date. I am going back in Nov and will be back to Sinai Scuba. See you in Nov Bob." "Sinai scuba diving Center, Sunset Hotel, Sharm El-Sheikh Egypt. 5 days packges 210 Euro - I will dive again with this diving Center. I am Italian and I recomeded this diving center to all divers. G.M Yahia Hassae is so kind and helpful. " "I recommend this diving operator and instructors Uahia, Claudia and Ahmed. It was a nice cool diving trip in hot summer in Sharm." "I have been to the red sea twice now, both times with Elite diving, Terrific British run outfit." "I have only been to Sharm once, with Elite Divers and they made my holiday! Superb hospitality, great dive boat, really fun guys when you want them to be and serious when they need to be. I cannot fault them and the centre is small enough to ensure that the boat will not be packed to the seams with divers everywhere. I dont want to dive with any other dive centre to be honest!" "I recd your newsletter (about the dive centre) on my return from the most enjoyable time with Only Six Diving at Partner Turquoise Sharm el Shielk. The Hotel and dive centre are the nearest -- 5mins by bus to the Trevco Port where all the dive boats go out to Ras Mohammed. We were the first boat out each day-- even on days when many boats did not go due to the fuel shortages. I was so fortunate to have Max as my Guide. Diving is so much more that a job to him. I felt I was so privileged to share his under water world that he knows as he says quote 'like I know my house'. The boat was the cleanest I have ever been on and I was happy to eat - the price included lunch. I usually avoid this as normally have hygiene concerns. I would certainly recommend to anyone." "I have been diving in Sharm El-Sheikh with The Wave diving center. 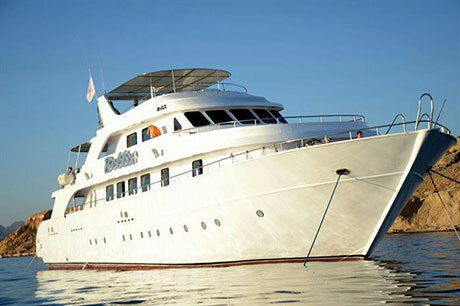 Very professional and happy staff who enjoy bringing their divers to the beauty of the Red Sea." "stay away from the diving center The Wave and especially from their dive instructor Svetlana. the equipment is very old, regulators, masks and fins are the cheapest and poor quality. the instructor Svetlana is rude, instead of welcoming and engaging with you she acts in a very negative way. I was not treated like a customer but rather like a miserable slave constantly humiliated by Svetlana. Not a single word of encouragement or smile while teaching an Open Water Diver class. I only received yelling and exclamations that I'm doing everything incorrectly (without proper explanations). Horrible experience, I've never been treated like that in my life, especially in diving centers. " "I visited Sharm El-Sheikh for the first time in September this year. As a disabled person (tetraplegia a full time wheelchair user) who had not dived before I decided to take a couple of introductory lessons with Cybaqua - Mike's Dive Shop in Warrington. After a very sucessful introduction here in the UK I was bitterly disappointed when I arrived in Egypt that several dive centres werent interested in taking my custom as they saw my disability as a huge problem, I'm convinced that one very well known centre actually saw it as an open cheque book, demanding nearly �500 for one day class work and two introductory dives. On the recommendation of Ron a fellow guest from our hotel and a very experienced diver I went along to the Aquarius Dive Centre who were very supportive and very affordable. With their encouragement and support throughout two days which included four dives I have been inspired to progress with the sport, I am now studying and planning to take my PADI Open Water before we return on the 16th April and again in September. With my very limited movement which is restricted to my left arm I found the whole experience of open water very liberating, one that I hope to feel many times during the coming years. 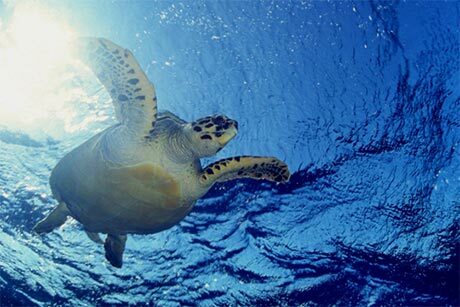 "I would like to recommend Aquarius Dive Club in the Sheraton Hotel in Sharm El-Sheikh. Very professional and allowed us to be really flexible with our diving holiday." " In september I took my Advance Open Water and passed. i went on to do a further 12 dives at some great sites. I was so happy with my diving experiences that I returned to Sharm in December to do a few more dives. All of my dives were completed with Aquarius. Thanks to Stefan, Ahmed and the crew. I'll be back in March. " " Can highly recommend Chris (Instructor) from Aquarius found his instruction excellent and he filled me with confidence. " " My tutor was Rob Pearson for my open water course. Very good and professional. I will dive with them again as soon as i can get back over there. " " Was picked up and returned to hotel every time, distance was no object. Passed open water advanced, chris was a excellant instructor, ensured I was happy, enjoying experance and learning as i go. All staff happy & friendly people. " "Only had time to revalidate my Advanced Open Water qualification. However instructors very experienced, very friendly and honest. Instructor (Gary) made it an enjoyable day and has encouraged me to get back into diving. First time diving ouside the UK - nice to be able to see beyond a few meters and so much wildlife - brill. Girlfriend did Scuba introduction - think it was Julia who gave a very nervous person much support to someone who cannot put head underwater. Cannot fault the club. Did not stay at the Sheraton. But would do after seeing facilities and location. " "Completed Open Water course and the Aquarius dive club and instructor (Gary) were brilliant and extremely flexible. " "They have a good service with transportation. Cost is about 200 Euro for 3 days daily diving safaris. " A small and friendly Dive Centre and Hotel on the beach in Na'ama Bay. Offering all PADI Courses and daily diving to all sites including Ras Mohammed and the famous Thistlegorm Wreck. Free transfers from Sharm El-Sheikh Hotels. A wide range of languages covered. "Oonas Dive Club in Sharm El-Sheikh, are fantastic people to dive with. It was the best diving my daughter and I have had so far." "I would like to recommend Oonas Dive Club in Sharm El-Sheikh, they were fantastic people to dive with." "My wife & I did our advanced openwater with Steve at Oonas and it was the best 2 days diving we have had so far!" For those looking to learn to dive in Sharm el Sheikh and qualified divers looking for a high quality, great value daily diving experience. TEC department consists of Trimix Instructors utilising some of the best CCRs (closed circuit rebreathers) on the market today. "They have branch PURE diving college in Na'ama bay, they are wonderful and friendly. I did my CCR rebreather course with them and really enjoyed the course. They are specialised in rebreather diving in Megalodon, inspiration, Poseidon, and JJ-CCR. Next april I'll go back for them again and again. Thank you Christian Heylen." Offers PADI, TDI, DSAT and BSAC courses, as well as safaris, dive packs, daily boat diving and Thistlegorm trips. "Went diving with Ocean College (Na'ama Bay, based at Ocean Club Hotel) last month. Excellent dive masters, boats and equipment in very good shape. Boats not too packed - and the crew took us to the dive sites, we wanted to go to. Absolutely great "
"This is our third diving holiday in 12 months to the Red Sea with Ocean College. The dive experience is fantastic and the guides are 1st class. Food on the boat 10/10, weather 10/10, accommodation 8/10, resort 10/10, country 10/10, people 9/10, value for money 100/10. Keep it up. " "Just come back from our 2nd trip to Sharm. Stayed at Ocean Club again. The staff at the Dive centre are really helpful. The crew on the Noble Sheikh are the most helpful I've ever met. Say hello to Mohammed in the Phoenix Bar. " 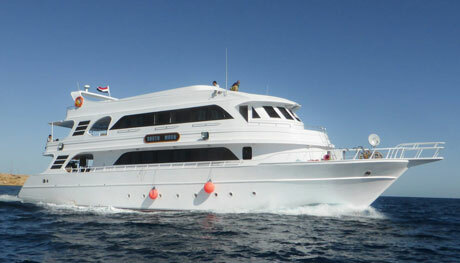 House reef diving, boat trips to Tiran and Ras Mohamed, Local, Thistlegorm etc. Diving safaris in the northern and southern Red Sea. All Shuttle Transfers from your Holiday Resort included. A PADI 5* IDC resort and the only 100% AWARE center in the South Sinai. 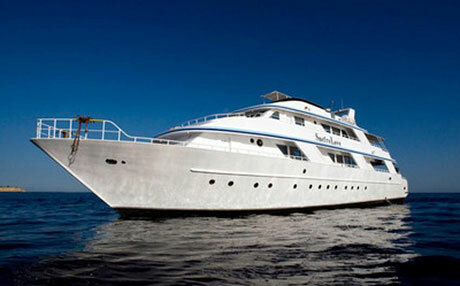 Offer daily diving, snorkel trips, PADI, courses, both recreational and technical. Also offer professional courses i.e. IDC. See also our write up of a Fast Track PADI course taken with Emperor Divers. PADI courses, trips to the Thistlegorm and Dunraven wrecks and 3, 5 or 10 day liveaboards. Will arrange accommodation and transfers. Speak Russian, English and Arabic. Red Sea Waterworld is located in the Hyatt Regency Resort in Sharm el Sheikh. The resort is a five star complex, situated directly on the coastline, with a private beach where the dive centre is located. For both qualified divers and those wanting to learn. Sharm Scuba Service�s staff is a team of highly dedicated Instructors with a great passion for the sea and the sport of SCUBA diving. With this enthusiasm we opened our centre in the Red Sea at the Coral Beach Resort Tiran in 2004. We are a PADI affiliated dive centre, member of the South Sinai governing body CDWS (Chamber of Diving and Watersports) and hold a current EUF (European Underwater Federation) certification. "I will go back for sure next year. Very well organized weekly program. Excellent staff dive guide and Instructors"
"We made three different day trips with Easy Divers and had a great time. They have their own boats and have very friendly and experienced guides. The prices were reasonable and the food was excellent. Easy Divers is the biggest dive operator in the Nabq area, which is north of the airport at the Straits of Tiran." Offer a PADI, SSI and CMAS courses in English, French, Italian, Spanish and German. Offer daily diving boat trips, shore dives, diving courses, introductory dives, snorkelling and free transfer from and to all the Hotels. "I went diving with Diving Ocean Sharm El-Sheikh located in Sea Club Resort in Sharm. It was a lot of fun, very familiar atmosphere but still with professional team and safety point number one." Also at Domina Coral Bay Resort and Sunrise resort. "Dived with 321dive - nothing was too much trouble. Great experience - throughly recommended best value by far. Thanks Toby! I'll be there again. Not a 5* holidya but a proper diving break. V good value for money - shopped around but found 321dive cheapest, like for like. Red sea diving is red sea diving. never disappoints and is only a few hours away. Found Thomascook cramped...sardines/cattle comes to mind. Had a great holiday and will use 321dive next year again." "I went away with 321dive a few weeks ago to Egypt on one of my diving holidays. In all of my years of holidays and trips I can safely say they were the cheapest, most helpful and best value. As a family we had a few issues initially with dates and details but 321dive accommodated any request we had with fantastic efficiency and good humour. We booked originally online which was great to do (our previous dive company made a mistake over the phone!) and I deffo recommend 321dive Egypt dive holidays to anyone � everything was organised so well." " Went recently on a group trip to Dahab and got a great deal with 321dive. In 30 years of diving these guys are the best value!" " Definitely dive with these guys again - school trips and groups they are brilliant for. Got a great deal. Very good value for money - 1:10 free place, but we had 21 and we got 3 staff free." " Went on a school trip in Easter. Pupils and staff had an awesome time. Great value for money and very safe. Recommended unreservedly. Diving with 321 dive already next year again now! Very good value for money. Easily beat any other quote we went for (out of 4). Third dive trip to date, two with 321 dive, we will continue to use 321dive unitl foreseeable future. No problem getting them past the Local Education Authority hurdle of risk assessments etc Very pleased with overall experience, including the pre-leaving admin for our school group (38 strong + 4 staff)." by Ned Middleton, Hardback, Immel Publishing, 196 pages.